...Thanks. Julie-Su and Vector surprise themselves によって helping one another in battle. 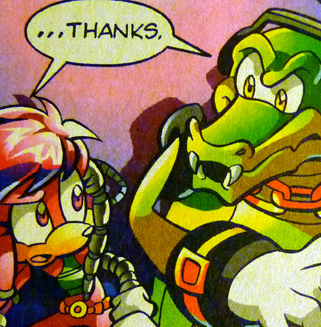 Wallpaper and background images in the Team Chaotix (Archie) club tagged: julie-su vector chaotix.